Obtain professional measurements with SensorPush smart sensor. 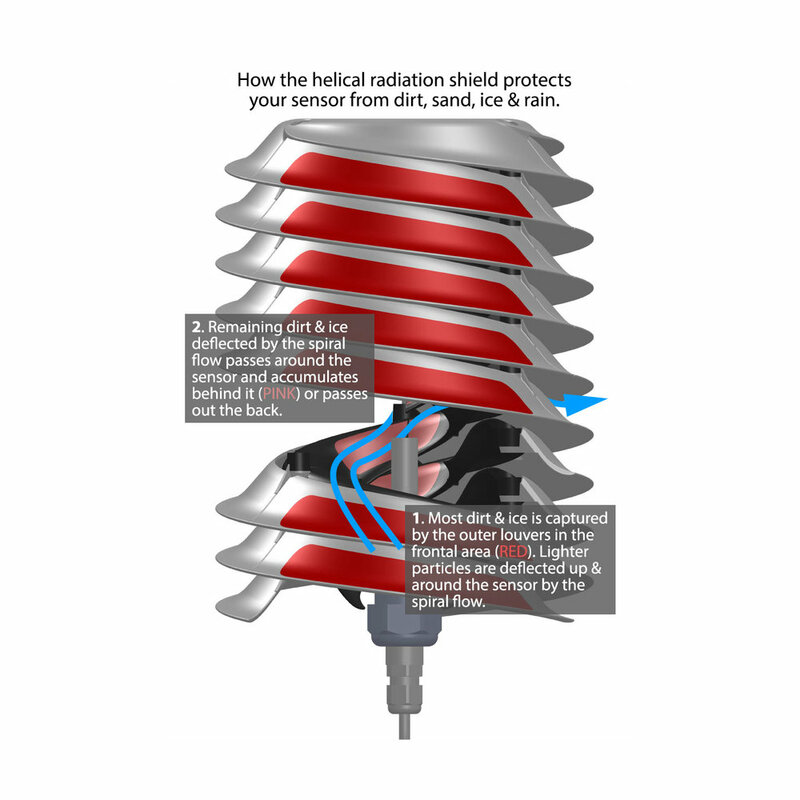 The patented Helix will reduce your temperature error in the sun by over 2°C (4°F). Just slip your SensorPush smart sensor into the shield for an immediate benefit. SensorPush is fully protected from the sun and rain. SensorPush fits inside the MeteoShield. We are working on bringing you an affordable solar radiation shield kit designed for the SensorPush community. Launch date is set at August 2017. Inform me before the MeteoShield kit for SensorPush launches.